Bermuda grass, an excellent lawn choice, especially in areas where summer temperaures often exceed 100 degrees F., is hardy and needs little watering once roots are established. 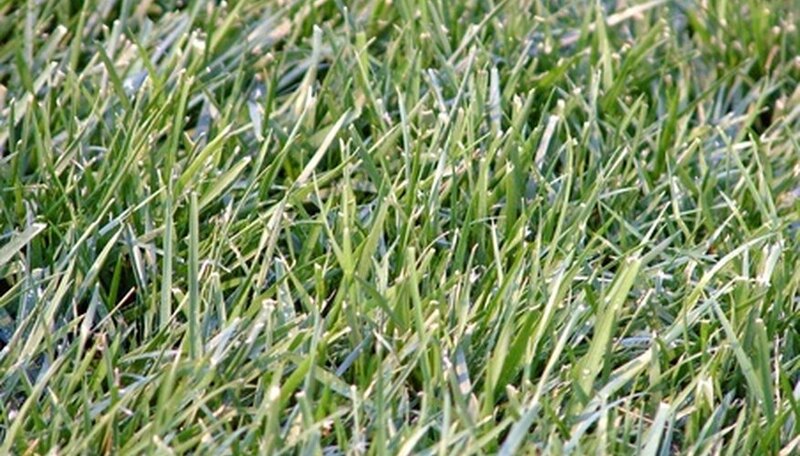 Plant Bermuda grass seed in early summer after all possibility of frost has passed or in fall, provided there is time for the root system to establish itself before the first frost. If you can provide adequate water for your Bermuda seeds, plant hulled seeds as these will germinate considerably faster than un-hulled seeds. Only plant hulled seeds, however, if you are able to keep the ground moist but not soggy consistently for at least 90 days after planting. Rake the area for planting your Bermuda grass. Rake up as much dead vegetation as possible, remove all stones and other debris, and score the top of the soil with rake tines to give the seeds a place to start growing. You do not need to remove all old grass as your Bermuda, once established, will crowd out other grasses. Use a seed spreader to evenly spread approximately 2 pounds of unhulled or 1 1/2 pounds of hulled Bermuda seeds per 1,000 square feet. Cover seeds with no more than 1/4 inch of topsoil (purchased at your local nursery) mixed with starter fertilizer. Do not pack down the soil. Try not to walk on the soil or the seeds. Water with a sprinkler until soil is damp but not soggy. Keep the soil damp even if you must water twice or more a day (depending on temperature and/or wind conditions) for at least 21 days. Your Bermuda grass should sprout within seven days but not be walked on for at last 21 days after sprouting. While Bermuda is tolerant of a wide range of soil conditions, your grass will sprout sooner and grow healthier if you maintain a soil pH of 6.5 to 7.0. Test your soil once a year to determine pH. Do not walk on newly sprouted Bermuda grass.